I haven't blogged in a while, so I thought that I'd do a post that I don't do often…a personal post! I am a member of influenster.com. It's a super fun website that sends you products for free as long as you use and then review them! It's really fun and you get to learn about and try some cool things. 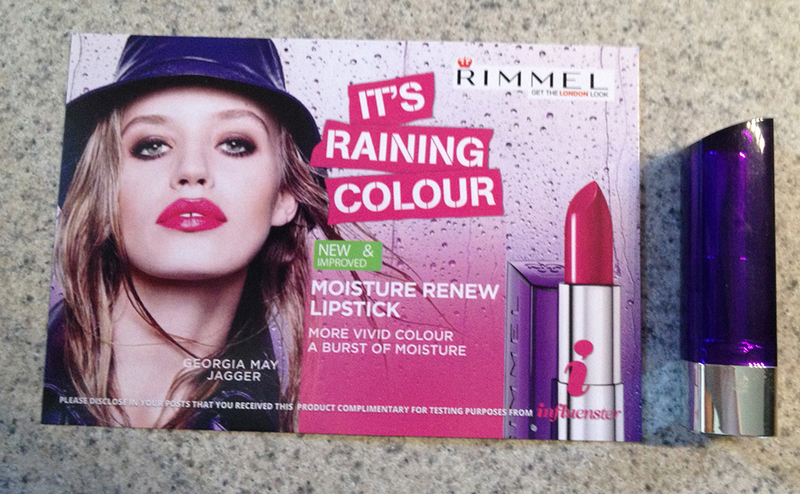 The last box I got was for Rimmel Moisture Renew Lipstick. Here are some pictures of the lipstick and some swatches on my hand (I apologize for the bad photos. I just took them with my phone). I got the shade As You Want Victoria. 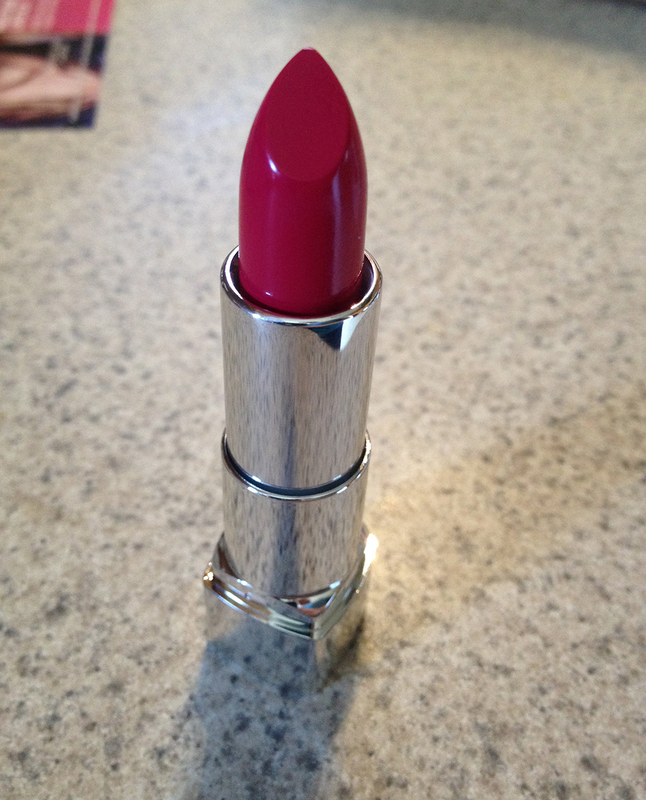 My review on the lipstick is below the images. I tried to scrub it off, but it definitely has staying power. So, what are my thoughts about it? I liked it!! I did actually like the color…I'm just not really one for bold lip color. I might wear it on occasion, but probably not regularly. I did like the lipstick enough to want to check out the other colors that are available though. It went on very smoothly, it lasted forever, and it really did seem to moisturize my lips. On the image above, I scrubbed to try to get it off my hand with a paper towel and it was pretty hard to get off. I'd definitely recommend it if you're looking for a lipstick that goes on very well and has great staying power. Also, if you're interested in signing up for Influenster to have opportunities like this you can leave me your name and email address and I'd love to send you a referral! It's free and it's fun! You really don't have anything to lose at all.